MANILA, April 25 -- Solicitor General Jose C. Calida, the government’s top lawyer on Tuesday said that there is no need for the International Criminal Court (ICC) to probe on the complaint filed by Jude Jose Sabio, the lawyer of self-confessed hitman Edgar Matobato against President Rodrigo Duterte and 11 senior government officials. Calida said the suit was baseless and should be dismissed by the ICC for lack of jurisdiction. On Monday, Sabio filed a complaint before the ICC in The Hague, Netherlands, accusing President Rodrigo Duterte and 11 other government officials of crimes against humanity. “At this stage, based on the communication, the ICC has no jurisdiction to take cognizance of the case,” the solicitor general said. “The case will not progress beyond the filing of the communication as it is utterly bereft of merit,” Calida said in a statement. Sabio filed a criminal case for crimes against humanity noting that President Duterte allegedly violated the Articles of the Rome Statute through commission of mass murder or extrajudicial executions during his term as Davao City mayor and now President of the Philippines through his aggressive campaign against illegal drugs. Reports showed thousands of drug suspects in Davao City and nationwide have been killed in the administration’s drug campaign. “There is no State policy, express or implied, directing an attack against any civilian population or the sanctioning of extrajudicial killings on drug-related cases. This basically removes this case from the purview of crimes against humanity under Article 7 of the Rome Statute,” Calida explained. The solicitor general said that the important element of mens rea to commit crimes against humanity does not exist in this case. “To satisfy the requisite element of mens rea in these crimes, an accused must be aware that his acts are part of a widespread or systematic attack on a civilian population and that these acts are pursuant to some kind of policy or plan,” the solicitor general said. According to Calida, President Duterte has openly condemned the killing of innocent civilians in the pursuit of legitimate law enforcement operations. “The apparent image of widespread and systematic extrajudicial killings is belied by the concrete actions initiated by the President and the sanctions imposed against erring law enforcers,” Calida said. Calida also said that the case must meet the gravity threshold set forth in the Rome Statute to justify further action by the ICC. According to Calida, the ICC normally considers the scale, nature, manner of commission of the crimes, and their impact in determining whether a case meets the gravity threshold. “As to the element of the manner of commission, since there is no State-sponsored plan or policy, the situation does not fall within the scope of the ICC’s mandate,” Calida explained. “It must be stressed that the ICC does not replace the national courts of a particular country,” Calida said. According to Calida, there are adequate laws and remedies available in the Philippines to address the issue of alleged extrajudicial killings. “Early this year, a survivor and relatives of alleged drug suspects killed in anti-illegal drugs operations in Quezon City were able to obtain a Writ of Amparo from the Supreme Court against the Philippine National Police,” Calida said. On 31 January 2017, the Supreme Court, upon petition by Efren C. Morillo and the relatives of victims allegedly killed during “Oplan Tokhang” operations in Barangay Payatas, Quezon City, issued a Writ of Amparo directing the PNP to produce and permit the inspection and copying of intelligence and surveillance reports, police blotters, coordination, video, and all other official and unofficial documents and materials pertaining to the police operations conducted against the aggrieved parties. The Supreme Court also issued a Temporary Protection Order (TPO) prohibiting the respondent police officers from entering within a radius of one kilometer from the residences and work addresses of the petitioners. The High Court also referred the case to the Court of Appeals for immediate hearing. According to Calida, during the hearing before the Court of Appeals, the Office of the Solicitor General (OSG) manifested and readily agreed to the issuance of the Writ of Amparo to the victims. The Court of Appeals then issued the Writ of Amparo, made the TPO a permanent one, and suspended the implementation of Oplan Tokhang with respect to Morillo and his co-petitioners. “This negates the need for the ICC to exercise jurisdiction over such cases. Under the Rome Statute, if the domestic authorities are already dealing with a similar case, the ICC may only step in if the domestic authorities are unwilling or unable to carry out fair proceedings,” Calida said. Calida also said that he will initiate the filing of a disbarment charge against Sabio for filing baseless suits. “Sabio represents the discredited Matobato, who is being coddled by Senator Antonio Trillanes, a yellow sympathizer and soul brother of Senator Leila de Lima. As we all know, Senators Trillanes and De Lima are both incessant hecklers of the President,” Calida pointed out. 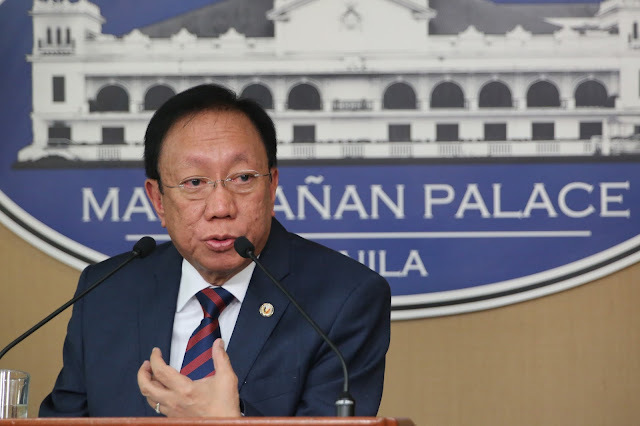 “Sabio is a compliant stooge of the yellow cult who planned to destabilize the Duterte government because they do not have the numbers to impeach the President,” Calida said.